Check out Tobi's Brilliant Side Chain Leather Belt Chain obsessed? Us too. The Brilliant Side Chain Black & Silver Leather Belt will add a bit of edge to your nighttime looks. 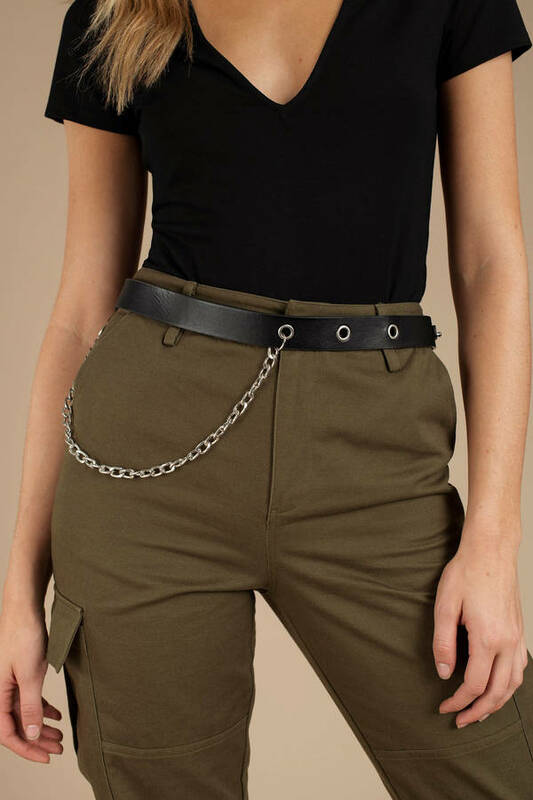 This medium sized belt features eyelets and a chain that hangs at the waist. This faux leather belt will look great with dark skinny jeans, a moto jacket, and booties! Chain obsessed? Us too. 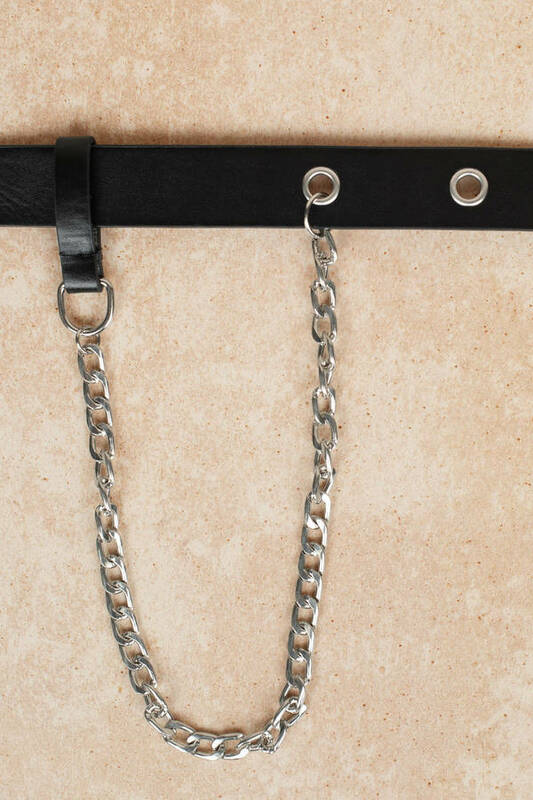 The Brilliant Side Chain Black & Silver Leather Belt will add a bit of edge to your nighttime looks. This medium sized belt features eyelets and a chain that hangs at the waist. 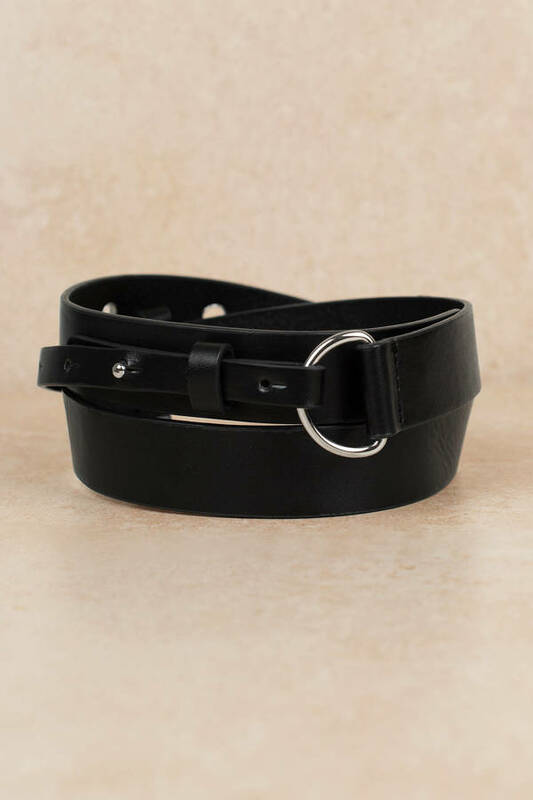 This faux leather belt will look great with dark skinny jeans, a moto jacket, and booties!